We are delighted to announce that Matthew Whittle and Paul Howard have been awarded the inaugural Alan Roughley Memorial Prizes by the International Anthony Burgess Foundation. The Alan Roughley Memorial Prize recognises outstanding contributions to Anthony Burgess studies, and was founded in memory of the late Alan Roughley, the founding director of the Burgess Foundation. Alan was a tireless champion of Burgess’s work, and advocated the Burgess Foundation across the world. His books included the critical collection Anthony Burgess and Modernity (Manchester University Press, 2008) as well as many works on James Joyce including James Joyce and Critical Theory: An Introduction (1991) and Reading Derrida, Reading Joyce (1999). Matthew Whittle receives an award of £500 for his article ‘Hosts and Hostages: Mass immigration and the power of hospitality in post-war British and Caribbean literature’, which examines texts that depict the ‘home’ as a politicised site of racial tension, focusing on Sam Selvon’s The Lonely Londoners (1956), V.S. Naipaul’s The Mimic Men (1967), Alan Sillitoe’s Saturday Night and Sunday Morning (1958) and Anthony Burgess’s The Right To An Answer (1960). His article was published in Comparative Critical Studies (Edinburgh University Press, 2014). Paul Howard receives an award of £500 for his article ‘“All right, that’s not a literal translation”: Cribs, licence, and embellishment in the Burgess versions of Belli’s Sonetti romaneschi’. 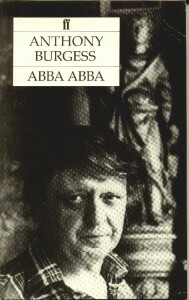 The article uses recently discovered crib translations by an intermediary to explore the context and method behind the translations in Burgess’s novel ABBA ABBA (1977), and shows how the Burgess versions are the outcome of a close poetic engagement with Belli and other sources, rather than the over-free translations they have been thought of to date. His article was published in Modern Language Review (Modern Humanities Research Association, July 2013). The Trustees of the Burgess Foundation extend their congratulations to both scholars.